iCloud Backup Message Keeps Popping Up, How to Fix? Don't you hate it when the iCloud Backup message "This iPhone hasn't been backed up in 2 weeks. Backups happen when this iPhone is plugged in, locked, and connected to Wi-Fi" keeps popping up? It's exceedingly frustrating to keep seeing it appear, but it's all due to Apple's ecosystem that wants better storage management and performance (although it's also part of their business model). The good news is that this is avoidable and that your data can be saved, uploaded and stored securely meanwhile you can get rid of the iCloud backup message forever! Here we present 6 methods and all of them work for iOS 12. The first and simplest method is to back up the iPhone or iPad immediately to stop the notification. To do so, simply go to Settings > [your name] > iCloud > iCloud Backup. Make sure that iCloud Backup is on. Then back up your iPhone by tapping "Back Up Now". After your iPhone is backed up, the frustrating notification will be gone. If for some reason (usually a bag in older iPhone/iPad) it's still there then you can try method two. Usually when the popup message is still there after you've done the "Back Up Now" method, then you need to reset the iPhone/iPad. You can hold the Home button & the Power button simutaneously. 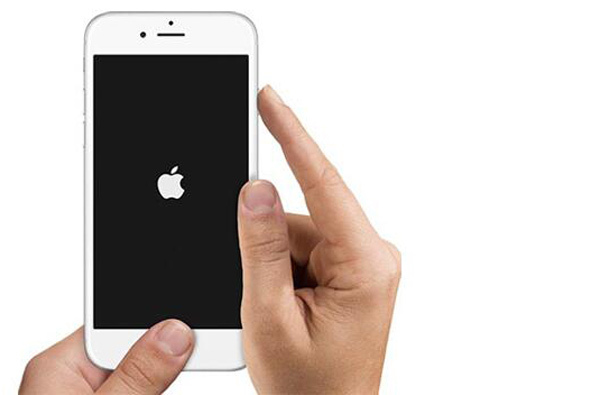 Be patient and hold it for 10+ seconds until you see the Apple logo and your iPhone will be restarted. Then the popup message will be gone and no data will be lost. 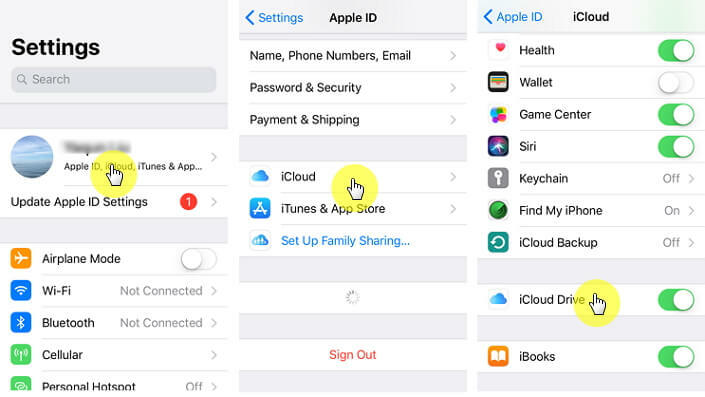 Now while you can back up data to your iCloud account, sometimes you will not be able to do it since Apple only gives only 5GB of free storage and this situation will be worse after upgrading to iOS 12 because new iOS needs more storage generally. Thus in order to remove the popup message, you can buy extra storage space to store all of your data. 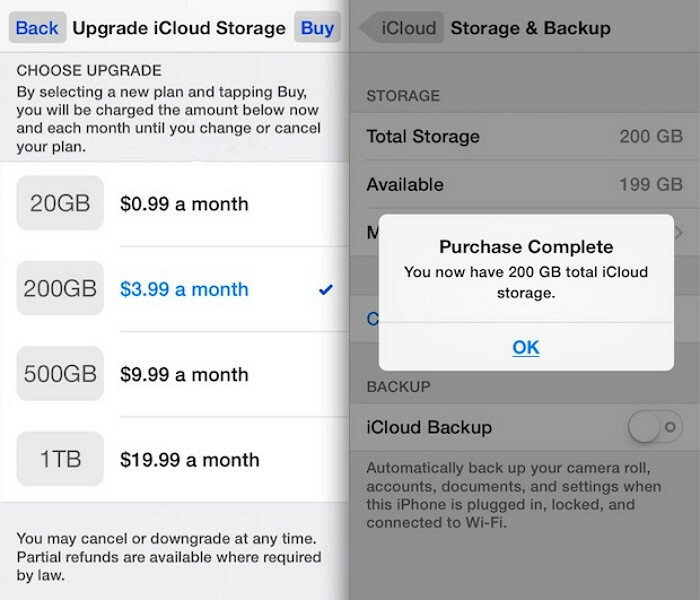 After you purchase, the storage will be upgraded and the data will be backed up successfully - the popup will disappear. Since this frustrating pop-up message is related to iCloud, turning off the iCloud Drive feature can also remove it. To do so, simply go to Settings > [your name] > iCloud. In iCloud, you need to toggle off iCloud Drive. When the photos and videos are uploaded, they are kept both in iCloud backup & iCloud Library (for security reasons), so if you turn off the iCloud Library they will be backed up only once. 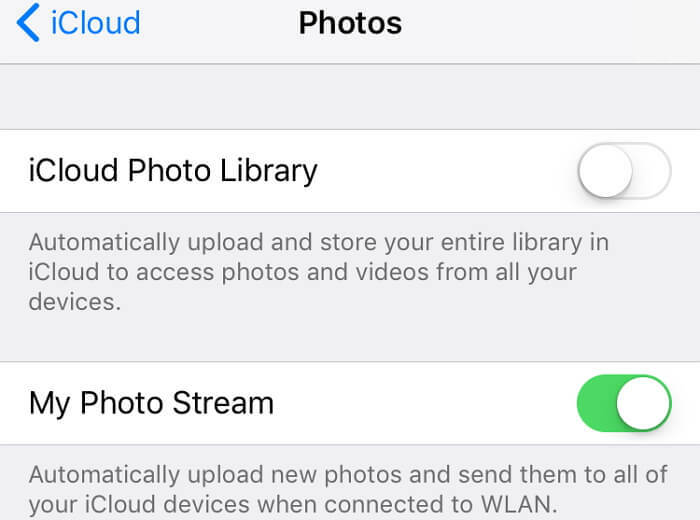 In order to still make your photos and videos available across multiple Apple devices, you need to turn on My Photo Stream – it doesn't use your cloud storage space, but uses Wi-Fi instead! Both settings are located in iCloud > Photos section. 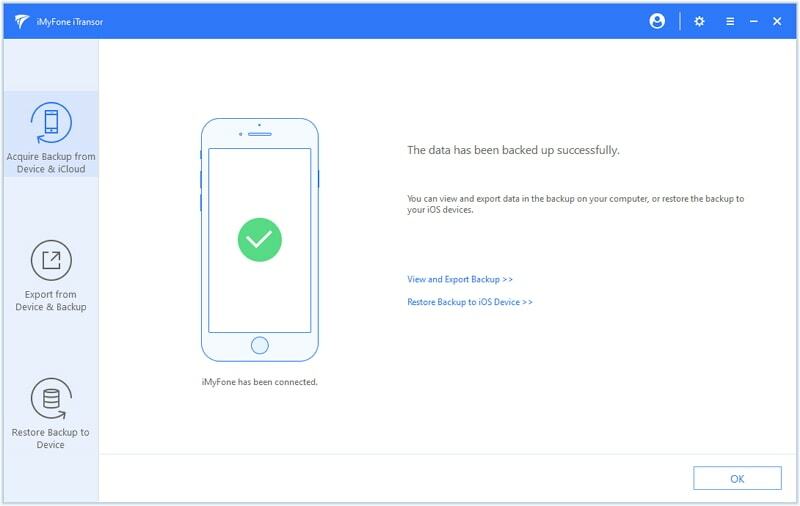 This backup & restore manager will let you do unlimited numbers of backup, and will not even affect the old backups on your computer/iCloud (like the ones using Apple methods will normally do). Additionally, the data from messaging apps like WhatsApp and WeChat can also be separately preserved and restored. Any backup you do can be restored in a glance and the software is compatible with iPhone X & iPhone 8 running the latest iOS 12. 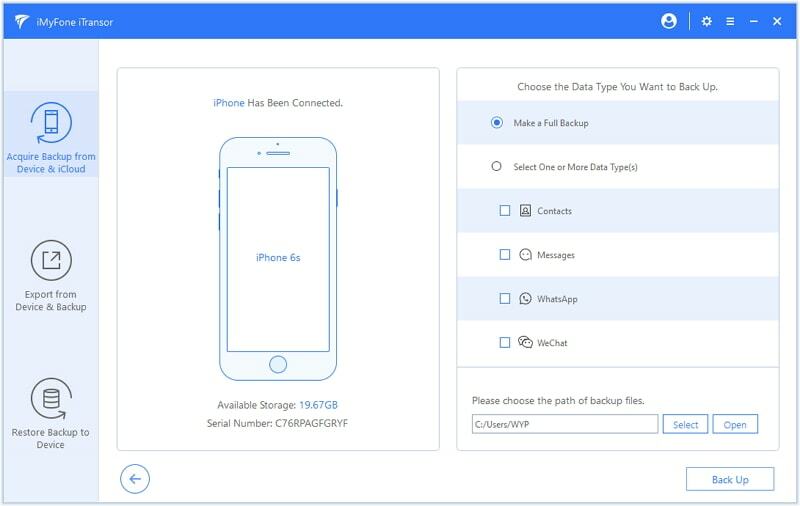 It can back up and restore only contacts, messages, WhatsApp, WeChat on your iOS devices. It's very easy. All you need is to download and open the software and follow its on-screen prompts. Step 1. connect your iPhone/iPad which needs to be backed up to this program. When you open the software, simply go to Acquire Backup from Device & iCloud on the left side. Then you can see what the program can do for you. Step 2. 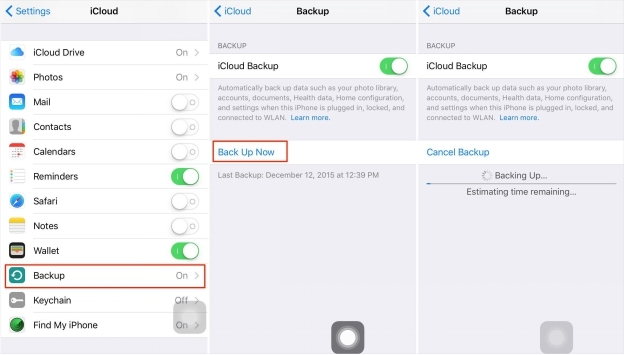 Next, you can choose Make a Full Backup to back up all the data and settings on your iPhone. Simply choose it and then click on Back Up. Step 3. Keep your iOS device connected throughout the whole process and you will be noted when the process is complete. Hope these methods will help you to not only remove the annoying popup message but also to back up your data on iOS device better and easier. 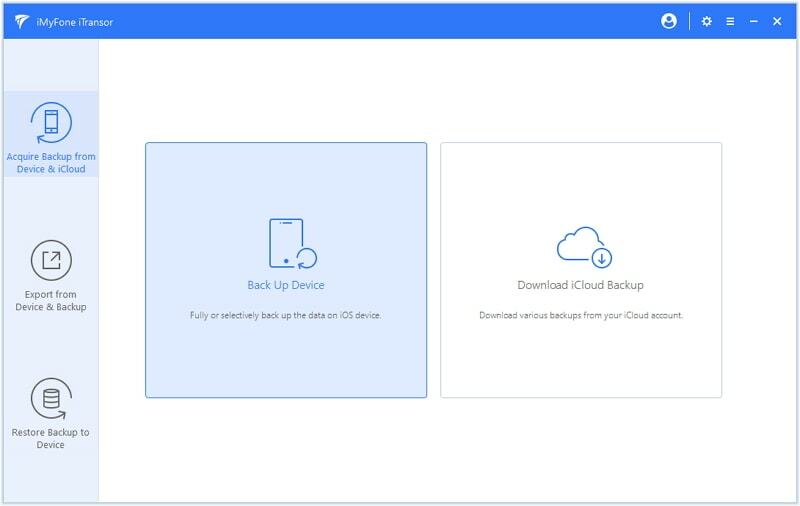 While using the Apple based methods is good, getting third-party software like iMyFone iTransormay prove to be a better &; simpler long-term solution for managing files, backups and restoring. Download the trial version for free to back up your iPhone now!